Welcome to: Australia and New Zealand’s Audiobook Narration Fellowship. Here is where you can find your next Aussie, or Kiwi great narrator for your latest novel. I’ve brought these pages to you, with a vision of extending our local prosody and vernacular to the ever growing world of audiobooks. As I’ve discovered this wonderful world of hearing a book, while all the while reading another, I’ve noticed that we Kiwi’s and Aussie’s are poorly represented as a whole. And most audiobook narrators seem to be hired out of America, or UK. Hence this resource before you. As I develop this site, I will be keen to interview local narrators from Australasia. And there will be giveaways, reviews and contact information added of these local talents, so that when you are ready you will be able to find the right person, with the unique loved–and–hated accent of our nations. Check out our sister site: Reshwity Publishing. Although some of these books I’ve reviewed are not always New Zealand, or Australian Narrators/Authors, they are certainly audiobooks I’ve listened to and have felt they are a worthy production to tell all of you about. Perhaps, you will be inspired to hook-up and listen to them yourselves. 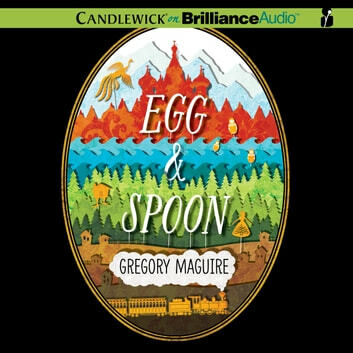 Ègg & Spoon *****Star Egg & Spoon is such a wonderful story – long winded, but wonderful all the same. It seems most people who comment love the witch Baba Yaggah the most, Read more… The Boy Born Dead *****Stars Wow! 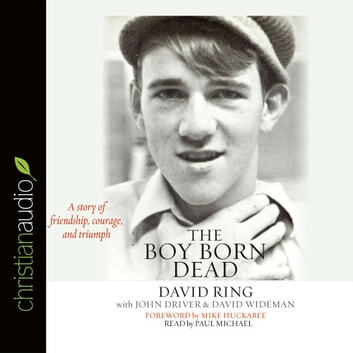 This heart wrenching true story of David vs Goliath, is one of the best I’ve ever heard. In 1953, Jonesboro, Arkansas, a baby boy was born – dead. Read more… Pennies for Hitler *****Stars Wow! What a moving story. Georg, or George is a small German boy who witnesses students of a university massacre their professor… his father, during the revolt against the Jews. 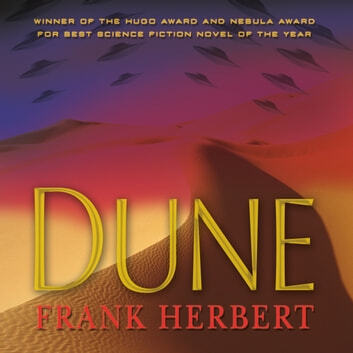 Read More… Dune ****Stars It is an epic battle of the finest where you must watch your back, otherwise you will never survive. I have arranged this via the narrators surname. Since this is aimed to be a sought after resource for authors finding narrators, I have listed these examples and audiobooks that way. Making it easier for you, the author, who may be on the prowl. Although I’m working hard to get as many Kiwi and Aussie narrators featured on ANZNARRATORS and have around 90% true blues here, there are narrators from other nations featured too. It’s difficult to find them all because we often work using various other accents and pseudonyms to meet the need of the authors. We are a very clever people from downunder and versatile and can sometimes be hard to distinguish as trueblues! Enjoy! Also, why not consider adding these pages to your Bookmarks. which was to get at least 250+ audiobooks/narrators ready and available to you for your listening pleasure. And of course, to make this fab site live! is to have 500+ audiobooks/narrators featured and to also add contact details of these narrators, so that if you wish to contact them yourselves… perhaps you want their unique narration service for your latest novel, then this reference web site will be your ‘go–to’place to find them. is to begin interviewing narrators and submitting their take on the world of audiobooks and the creation of them. I will be asking for their tips and advice and letting you know how to do this audiobook thing, professionally. Will be just as exciting as I will add products, services, resources and tutoring so you can benefit and, perhaps even become a professional narrator yourself! Then you might be able to join this Hall of Fame too. Maybe you’ll be the next big narrator down–under Why not? If you would like to join me on this journey and be kept informed; or if you can offer advice, references or help… or even if you just want to drop a line, then enter your query into the email form below. I intent to answer every correspondence you might have for me. Please drop me a line 🙂 Share some love. I endeavor to reply, unless of course you’re just spamming me (highly shunned upon).